Frankenstein Minute is a podcast where we dissect the Universal Frankenstein movies, minute-by-minute! 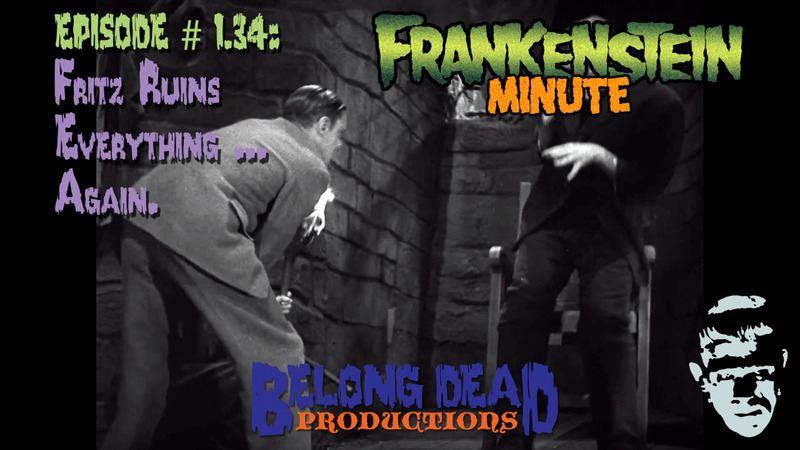 In our latest episode of Frankenstein Minute, 1.25, we dissect minute 25 of Universal's 1931 film Frankenstein! Also on Stitcher and Google Play! In the name of God, it's a new episode of Frankenstein Minute! In our latest episode of Frankenstein Minute, we dissect minute 30 of Universal's 1931 film Frankenstein! Welcome to the UMA ! I missed this thread, till now. Looks like something fun and different! I need to catch up. Fire BAD. Another episode of Frankenstein Minute, GOOD!